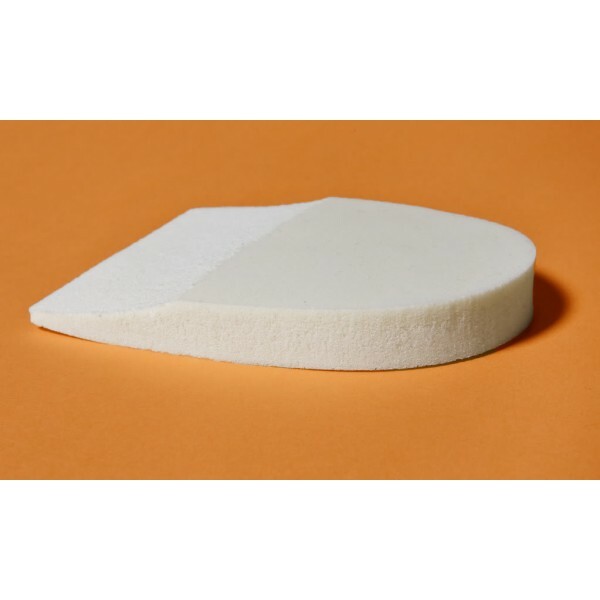 The 1/2" Soft Beveled Foam Heel Pad is excellent to cushion the heel! Ailments addressed are bottom of heel pain, heel spurs, plantar fasciitis, and loss of fat pad on heel. For use in all styles of footwear. Bulk discounts availble. Price is per pad not per pair. The 1/2" inch Beveled Heel Foam Pad, cushions the heel with every step. Common ailments addressed are heel pain, heel spurs, plantar fascitis, and loss of fat pad on heel. For use in all styles of footwear. This is a great item to have available for foot pain relief while at conventions, vacations, sporting events, and for everyday wear. Many corporations have ordered these pads to include in gift bags at convention registration booths. Also very common for runners to have avalaible for running on hard surfaces. Warning: Do not place product over an open wound. If irritation, discomfort, or any problem results from the use of this product, discontinue use immediately, and notify your doctor immediately. Keep out of reach of children and pets.